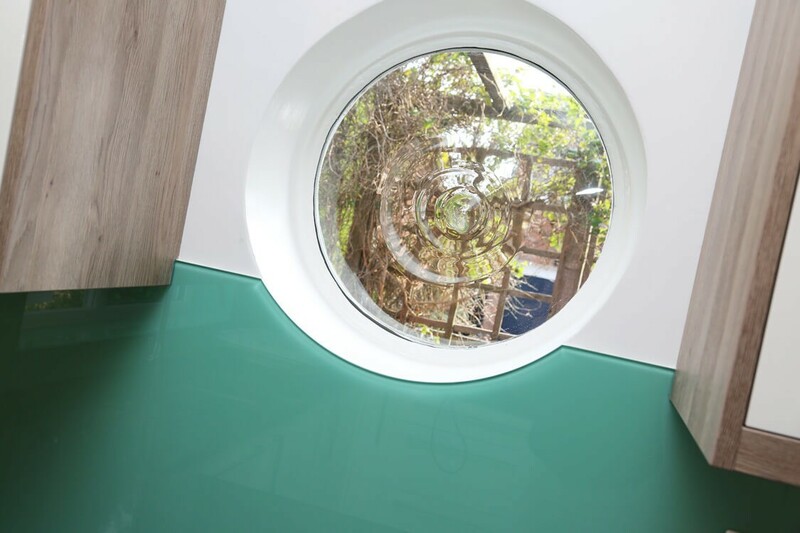 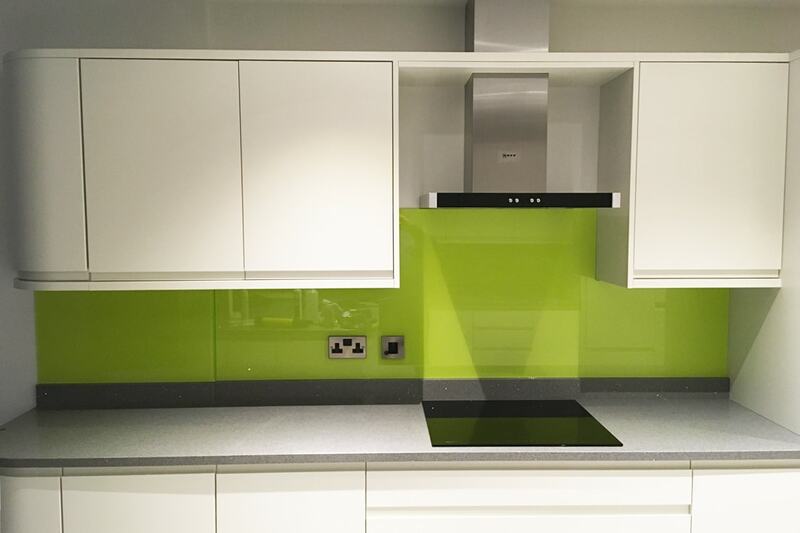 To create a Glass Splashback that suits your very own style and tastes, we have a specialist system that can match any paint colour. 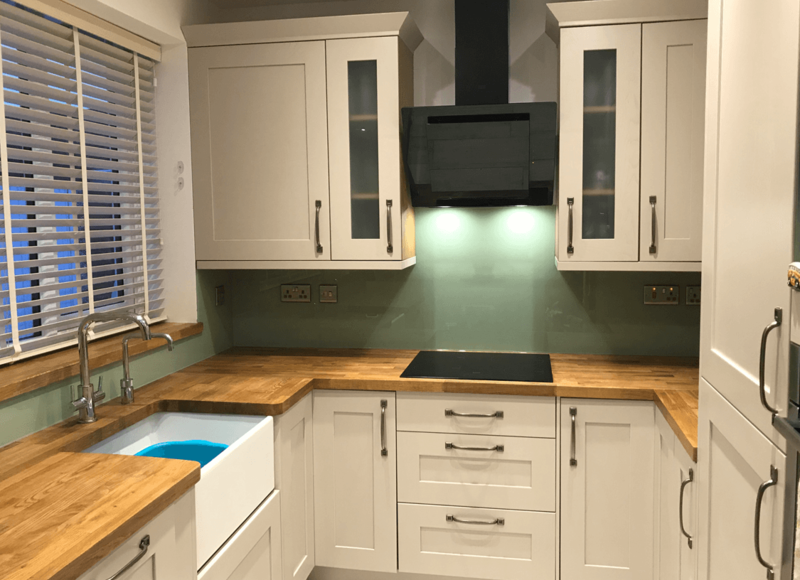 Choose from all the major brands or from our very own catalogue of colours. 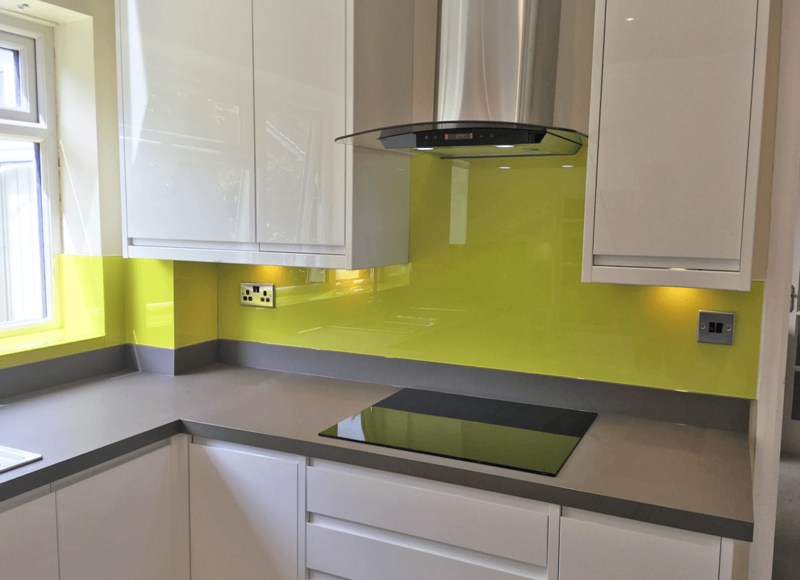 With our huge colour range you really can create a splashback that is bespoke to you. 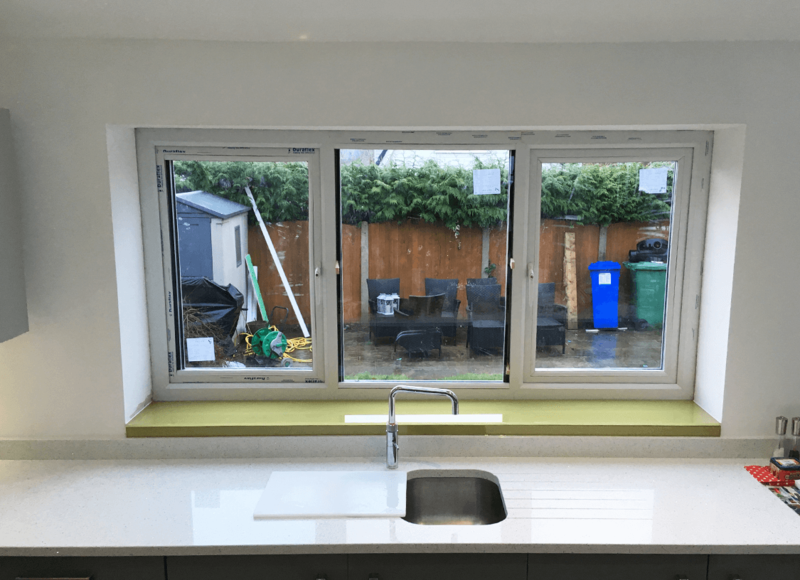 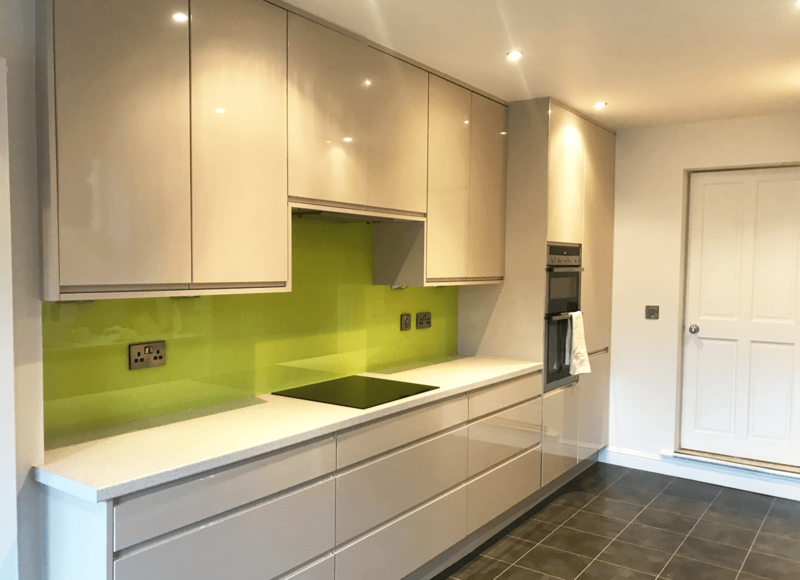 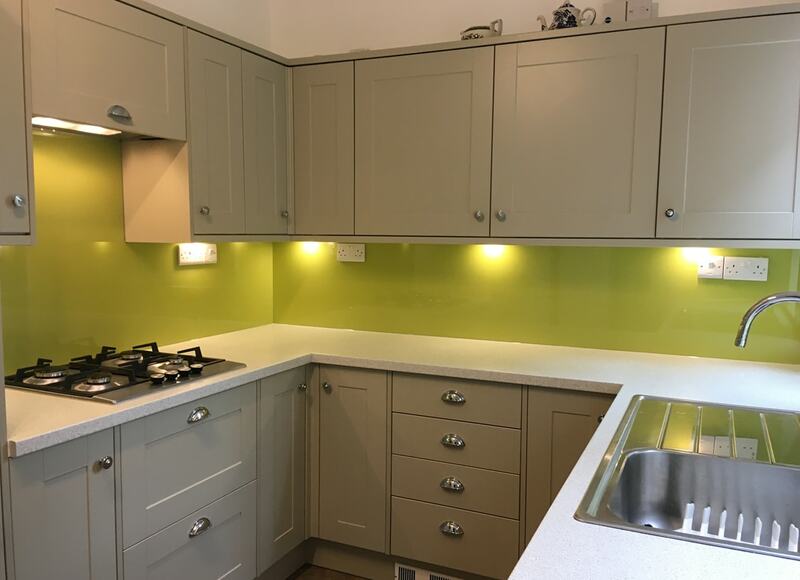 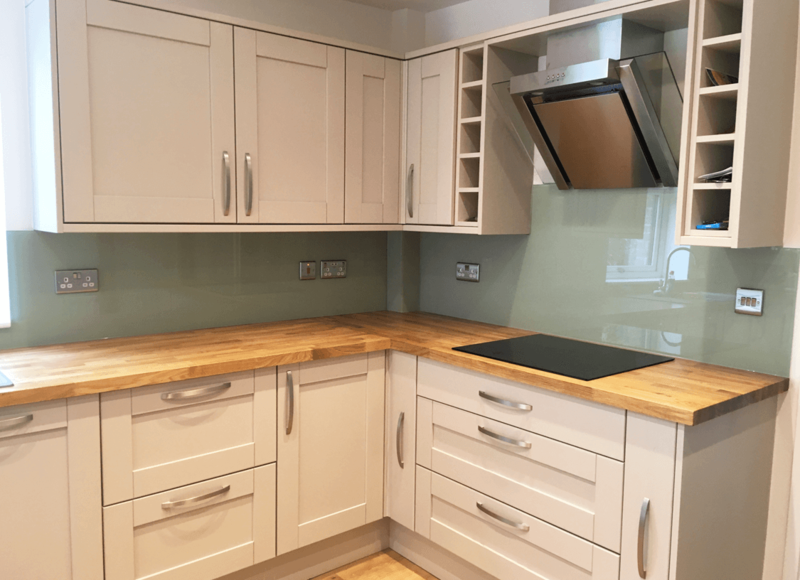 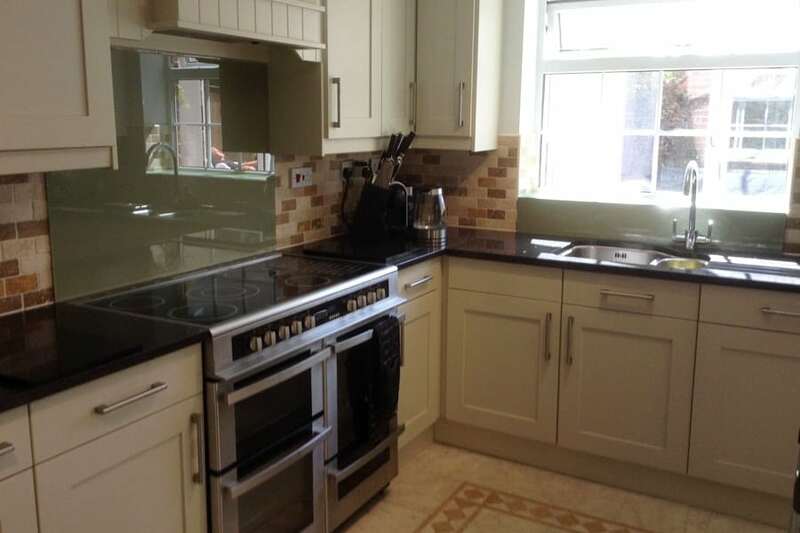 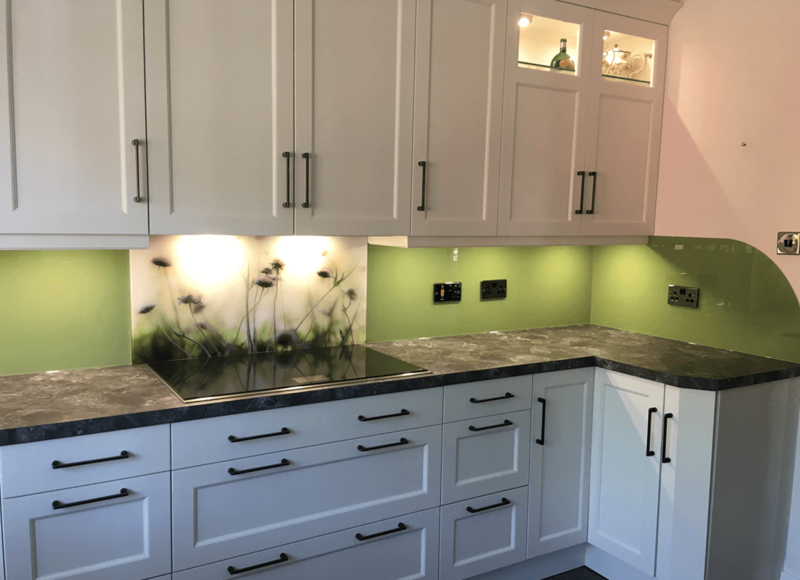 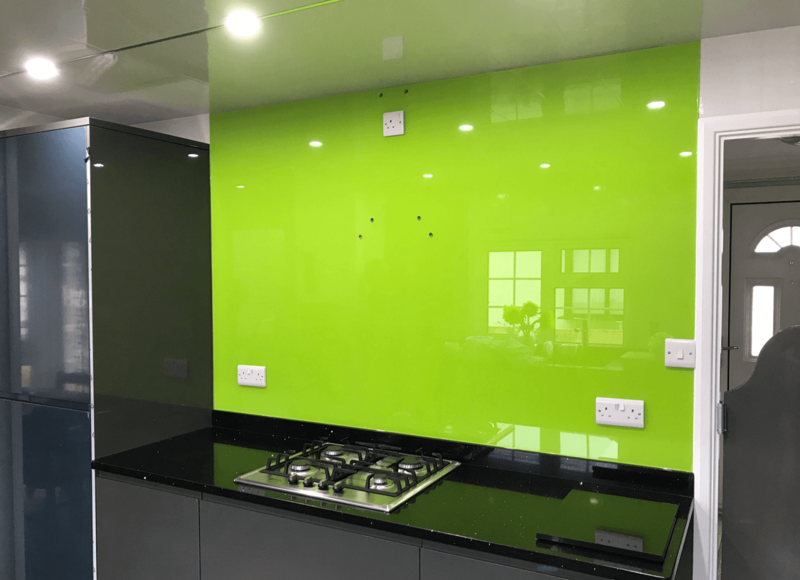 See some of the kitchens we have all ready transformed with a stunning glass splashback, you really can see the difference a splashback brings into a kitchen. 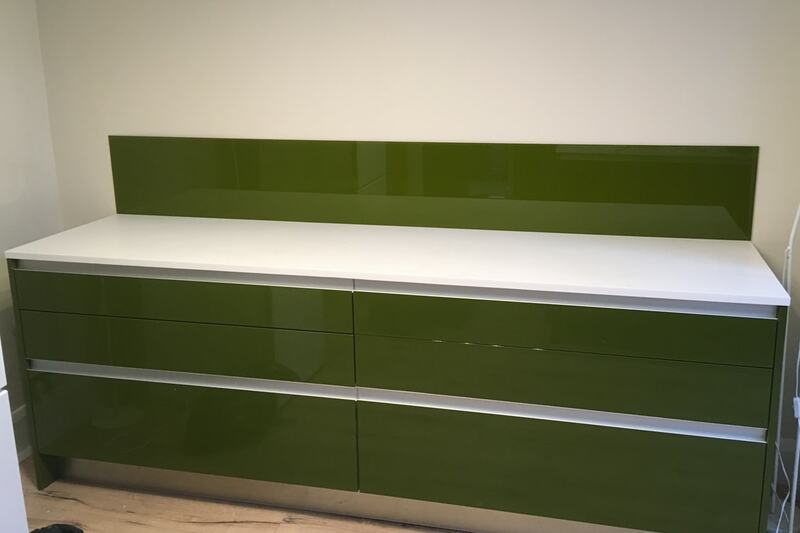 Charteuse toughened glass splashback that has been colour matched to a famous paint brand. 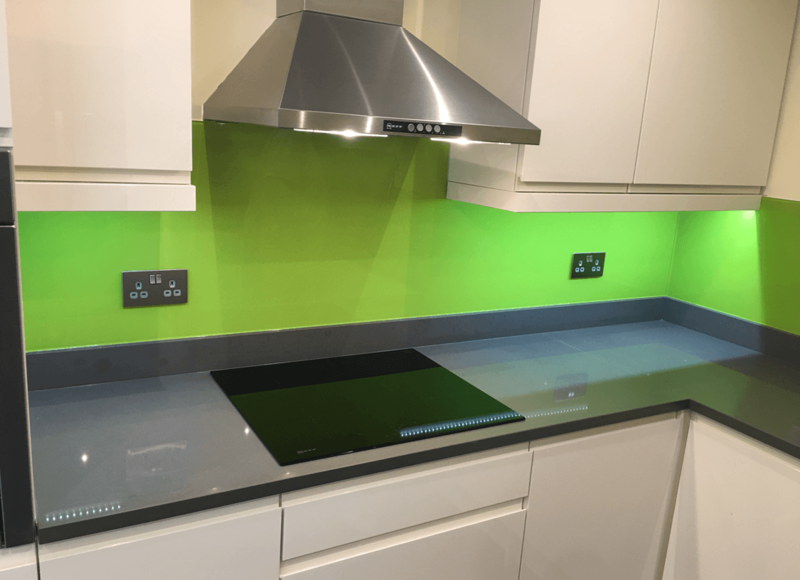 Moss Green toughened glass splashback. 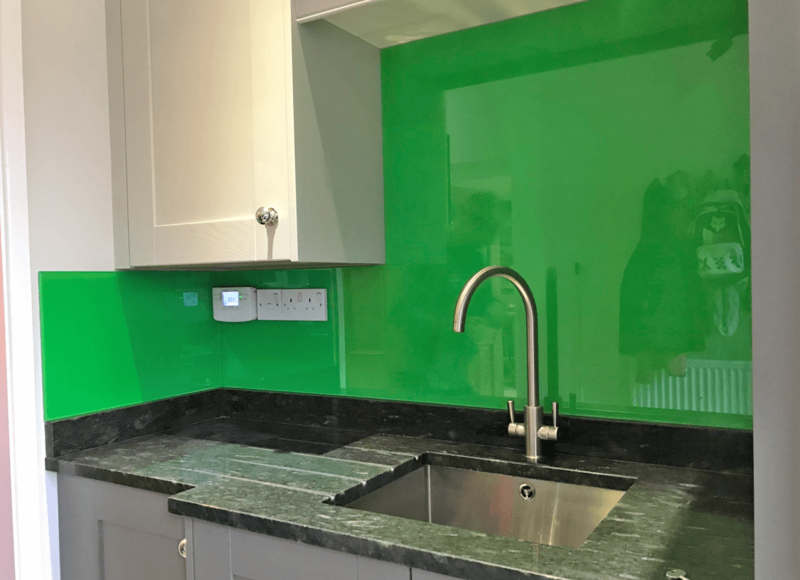 Lawn Green toughened glass splashback. 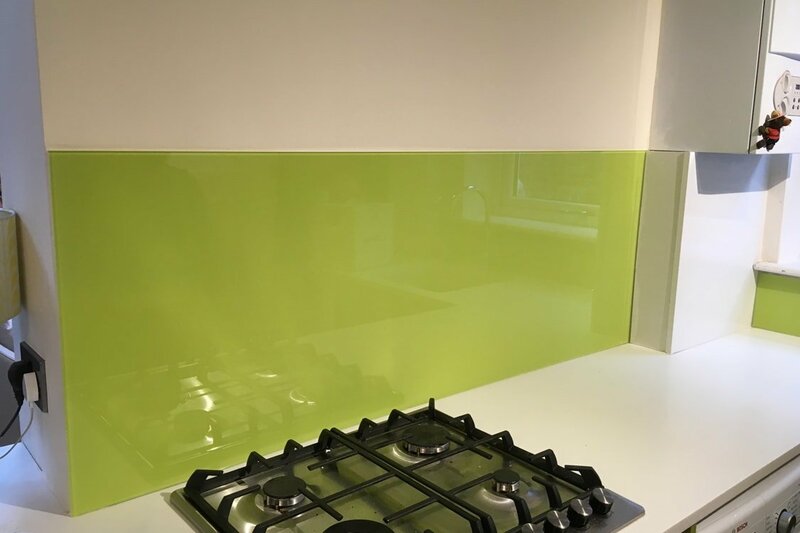 Cyber Lime toughened glass splashback. 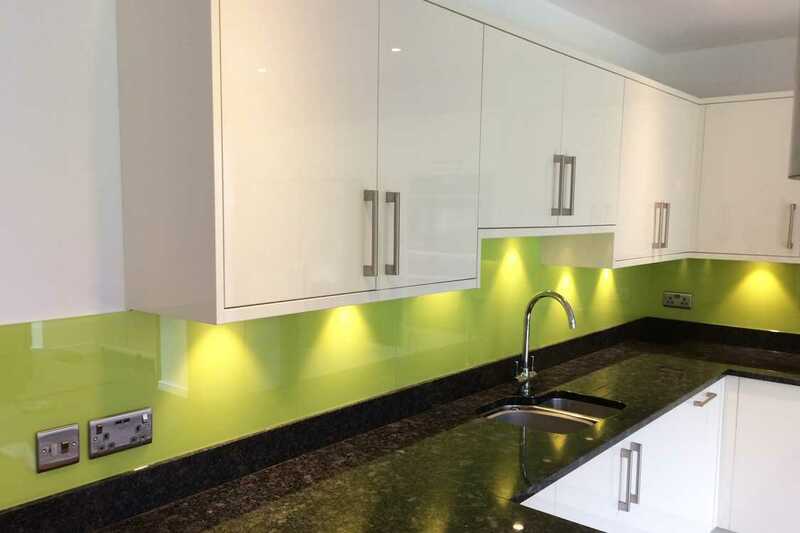 Key Lime Pie toughened glass splashback. 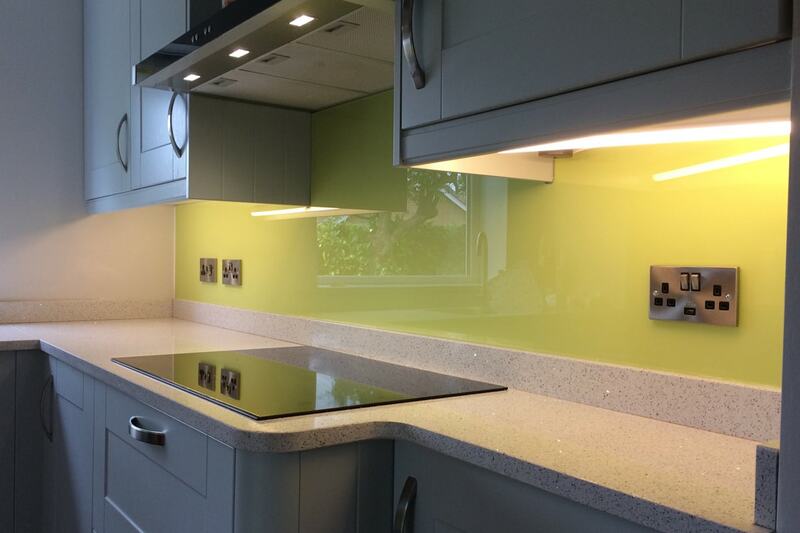 Lemon Chiffon toughened glass splashback. 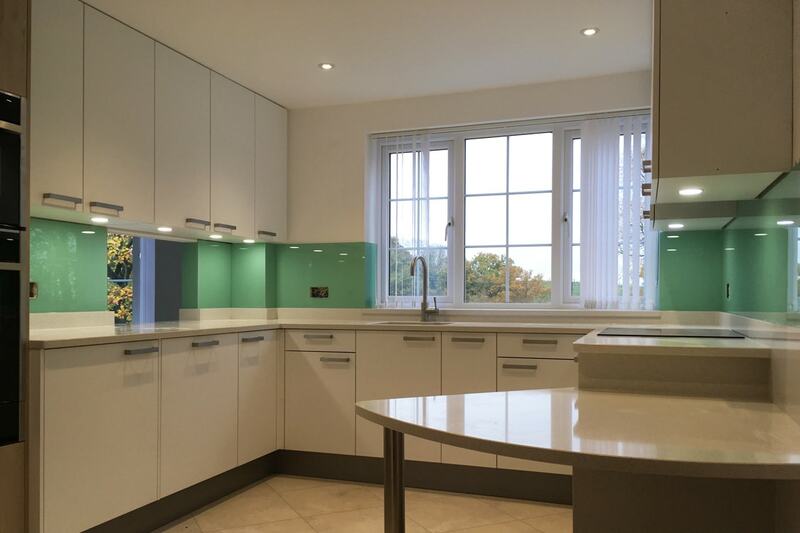 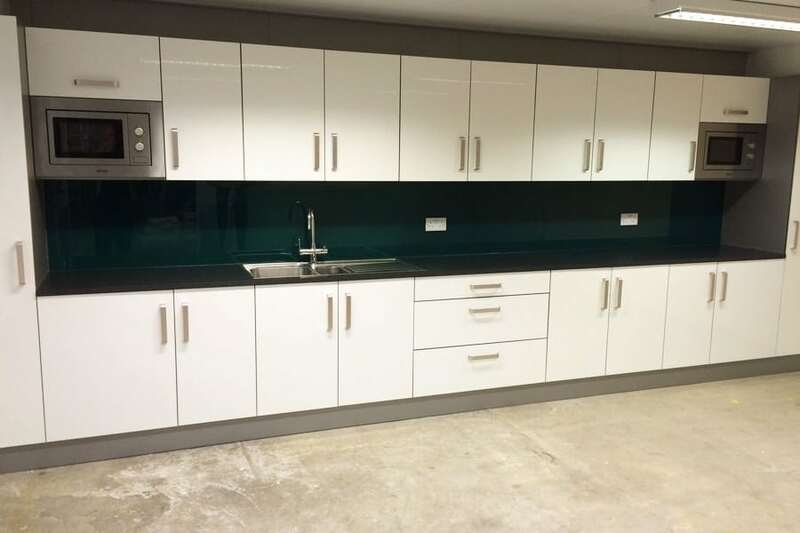 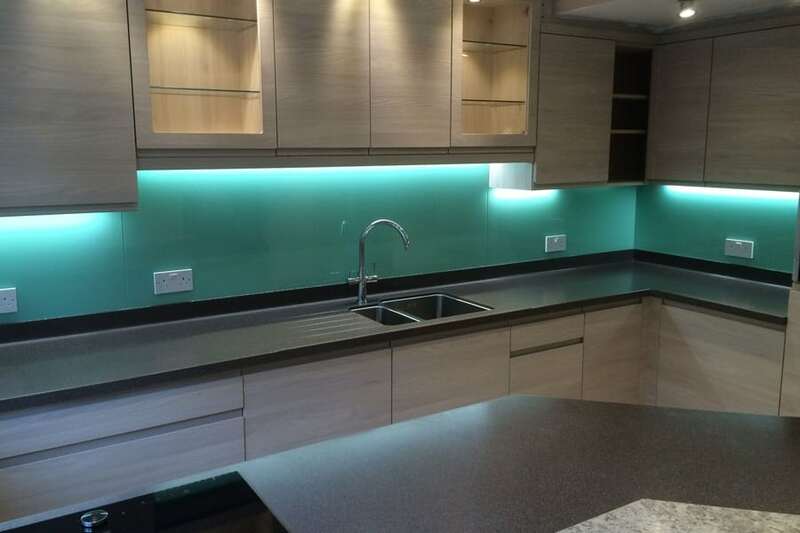 Pure Mint toughened glass splashback. 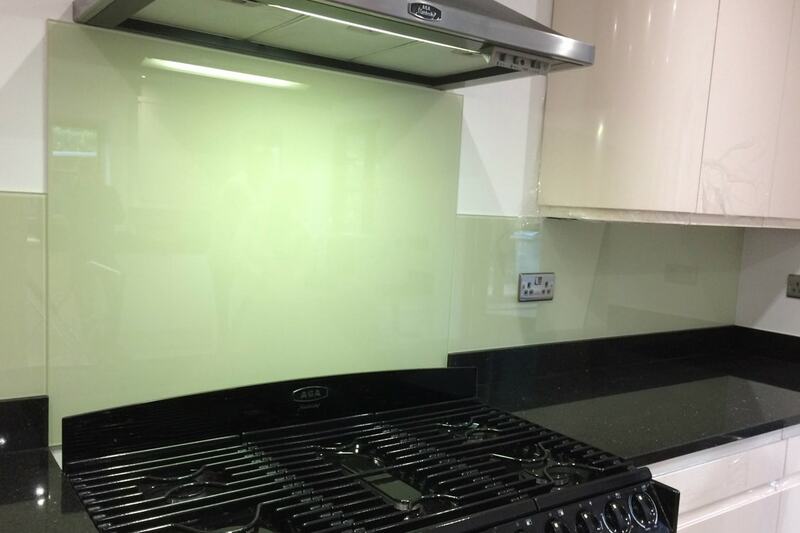 British Racing Green toughened glass splashback. 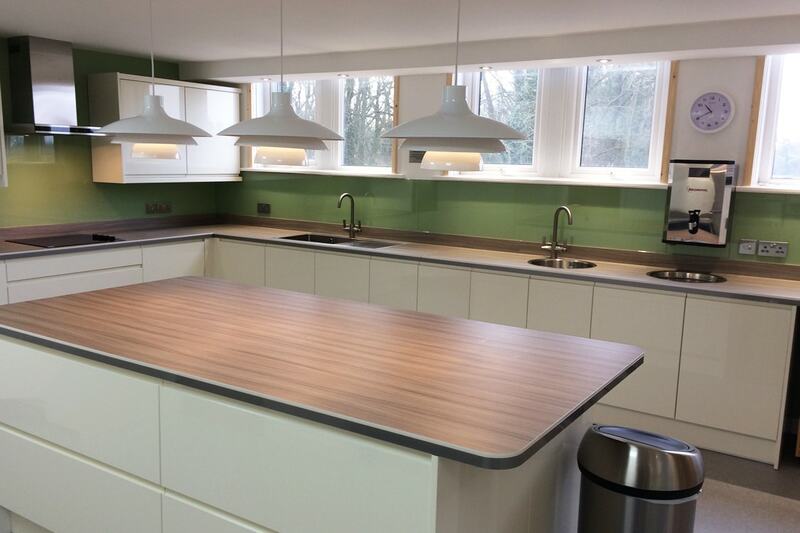 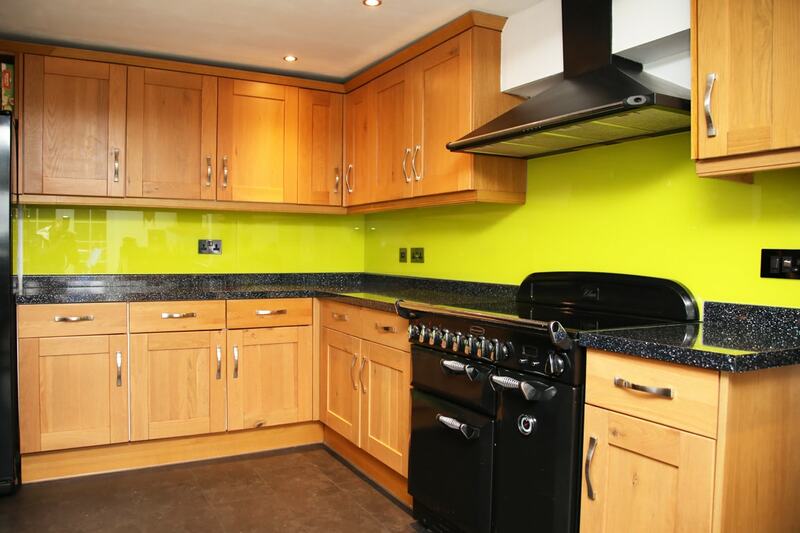 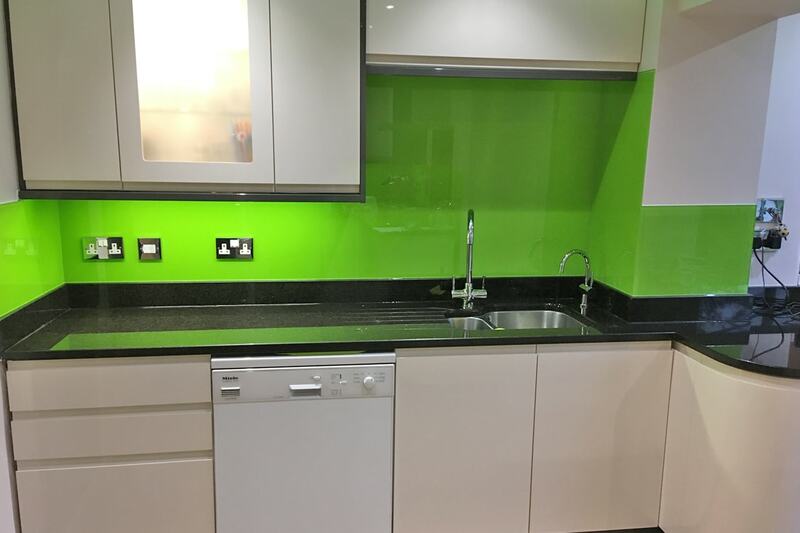 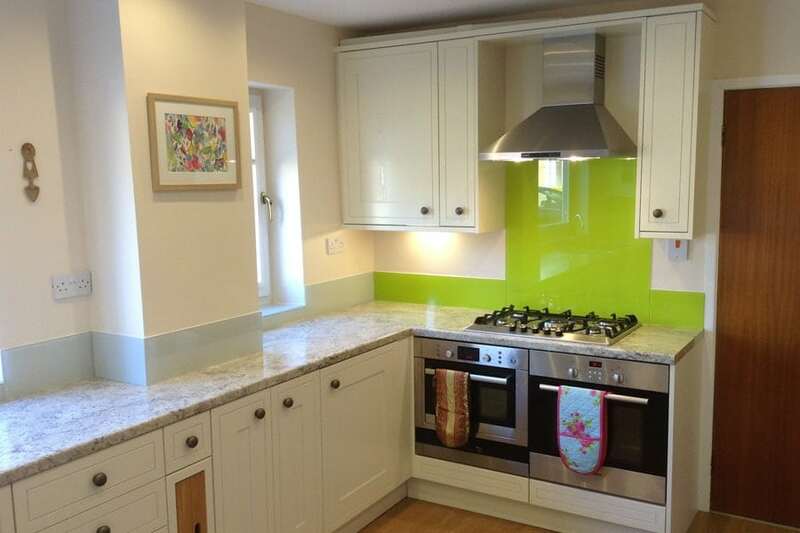 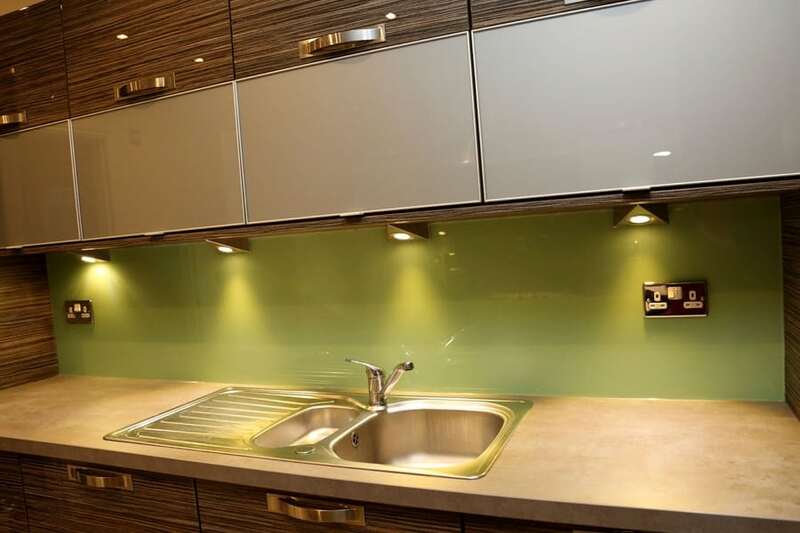 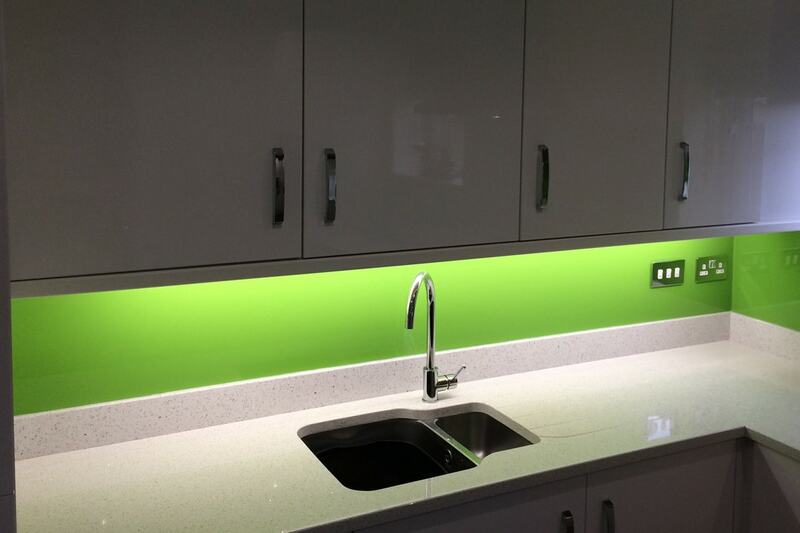 Light Apple Green toughened glass splashback. 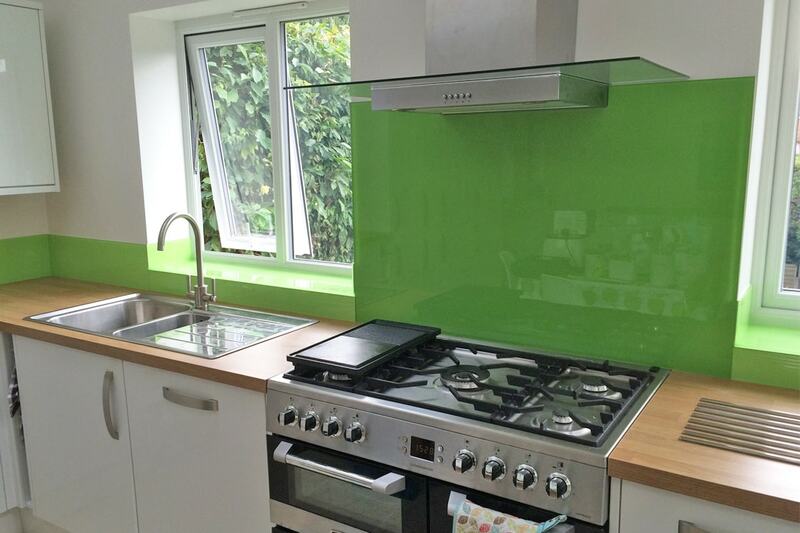 Leafy Green toughened glass splashback.